How often do you wear makeup? Does it make you feel more confident? Recently, I was asked how much more confident wearing makeup makes me feel and the honest answer is, it doesn’t. I’ve never been someone who has felt as though I’ve needed to wear makeup in order to feel confident in everyday life, I’ve always just worn it if I’ve wanted to or if I’ve had the time to actually apply it, as is quite often the case. When I was at school, a lot of girls wore makeup because their friends were but I’m not one to conform in that way in an educational or workplace setting. Others wore it to cover spots and acne scarring which thankfully, I’ve never had to deal with to any great extent. When I first started going out clubbing, I was really getting into makeup and loved how creative it made me feel. 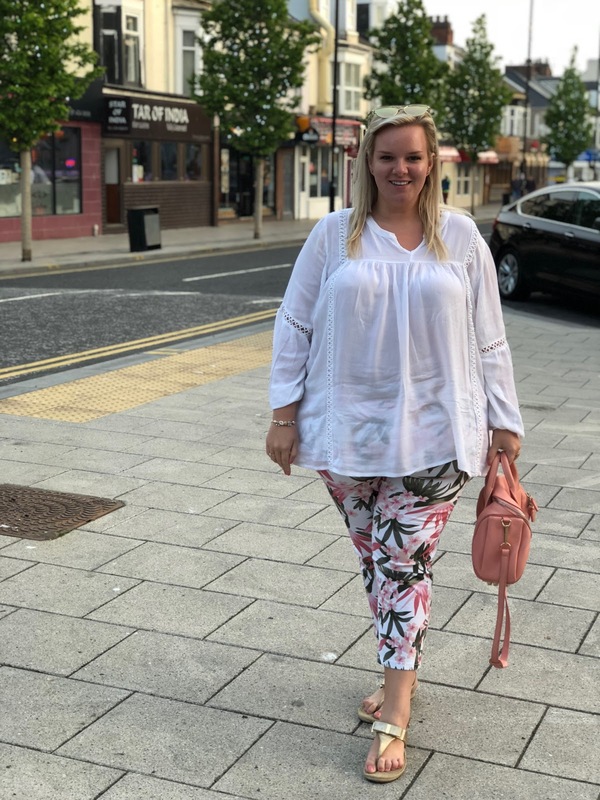 Admittedly, I used it in order to make me look more mature and also to express my creativity because back then, it was virtually impossible to do that with the extremely limited selection of plus size clothing that was on the highstreet for young women. Back then, I wouldn’t have gone out to a bar or club on a night out without wearing makeup so I guess there was a time when it did matter to me because I think on an evening out, it was the done thing and made me feel dressed up and included so I wouldn’t have gone out without it. Perhaps I felt worried as though I would stick out for not being as dressed up as everyone else, I don’t know but these days, its totally different. I’ll wear it if I want to and I’ll step away from the dressing table when I don’t want to, my confidence isn’t determined by either. It’s funny how things change as you get older. I don’t enjoy getting ready and putting on a face full of makeup quite as much as I used to and I don’t like the feeling of wearing thick make up like I used to either; I much prefer to be able to see my skin and features and to be able to touch my face without worrying that I’ve smudged my makeup! However I do still love the freedom and creativity that makeup brings to the table. I love that I’m able to enhance my features and to create different looks that complement my outfits, lifestyle and mood. Most of the time, I don’t wear makeup during the day and whether or not I wear it on a night out is something that I feel really indifferent about. I do like to put some on for nights out in town as its not a weekly occurrence like it was in my late teens and its nice to sort of differentiate my look from my daytime appearance but at the same time, I’m quite happy going out just as I am without any makeup on. My friends are there to see and interact with me, not to judge me on what I am or am not wearing. I don’t need makeup to feel confident as I’m comfortable, confident and happy in myself already. Plus, I actually like how I look without makeup. I also love to be able to go for a curry on Ocean Road without worrying that I’m going to smear a bold lip all over my face and I’m sure my boyfriend much prefers it when I’m not asking if my lippy is smudged every 10 minutes haha! These photographs were taken on our most recent curry night and as you can see, I’m makeup free and confident. 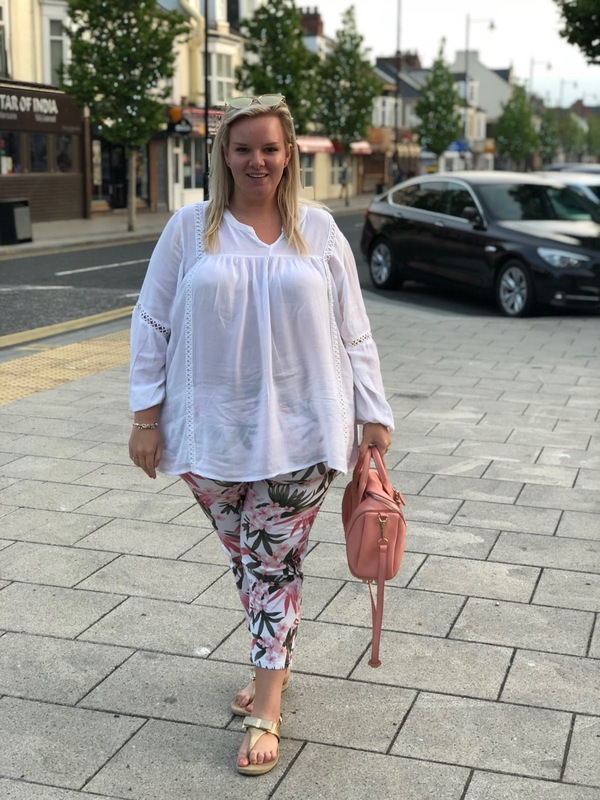 Wearing my gorgeous White Smock Blouse With Lace Ladder Detail and Floral Print Cropped Jeggings, both from Yours Clothing gave me a little boost though, not of confidence just of the happy feeling that comes with a new outfit that you feel great in. These pieces are perfect for the UK summer and pair so well with my girlie Alexander Wang Rockie bag and Michael Kors sandals. Its a cool, laidback summer outfit that looks gorgeous with freshly washed hair and a hydrated, fresh complexion. A lot of people say that they like to go makeup free every now and again to let their skin “breathe”. While the top level of skin is actually dead so it doesn’t technically “breathe,” I totally get what they’re saying. I love the feeling of not having anything sitting on my skin; its so refreshing, especially when my skin is hydrated and nourished. I do love to look after my skin though and always have so I’ll never be without my skincare on a daily basis. I also like to enhance my eyes with semi permanent eyelash extensions and brow grooming on a monthly basis which give my face a little boost and make me feel as though I’m wearing makeup when I’m not really. I wake up in the morning, quickly do my skincare and when I look in the mirror, I feel good to go. I’ve been going to Essential Beauty in Washington for more years than I care to remember. 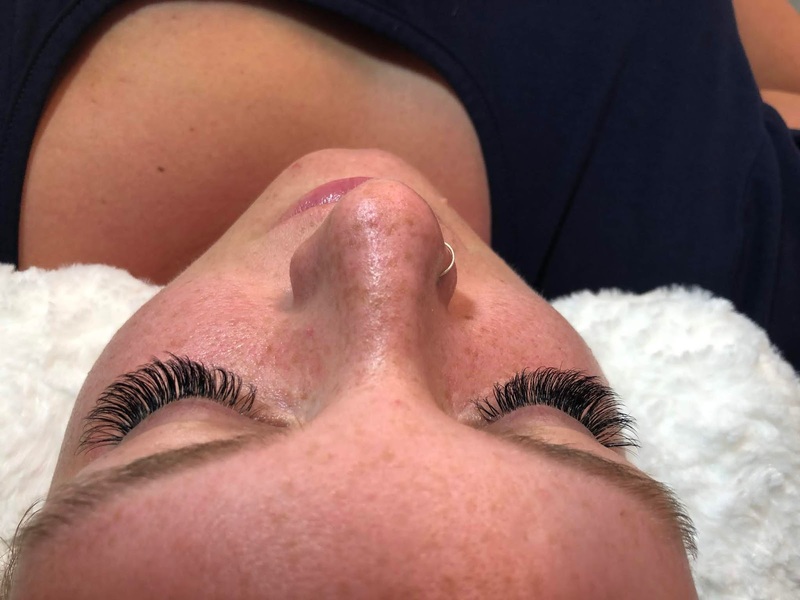 Deb is simply fabulous at all styles of eyelash extensions, especially the ones that I have applied; 3D Russian Volume which give a gorgeous, fluttery look. The lashes make such a difference to how I look and I feel so happy when I have them on. Its like looking in the mirror and having perfect lashes, every single day without having to apply coats and coats of mascara. Even with makeup, my lashes never look as amazing as they do when I’ve got the lash extensions on. They’re really long lasting too if you take care of them and I only need to go for infills every 3 weeks which makes them ideal for busy bees on the go. I also get a brow tint and wax each month, usually by Claire at Sheer Indulgence Mobile Beauty Therapy. 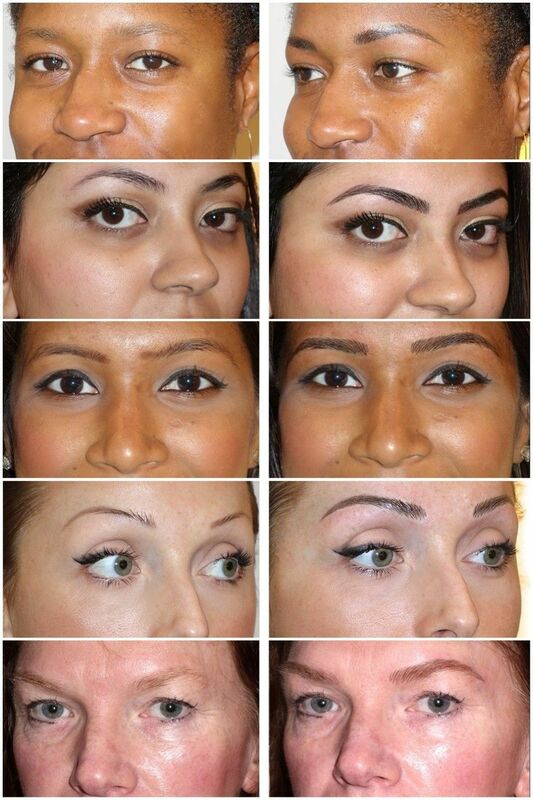 Having well groomed brows lifts the face, frames it and creates a feature of the eyes. I’ve even thought about having my eyebrows microbladed as I’ve seen some incredible results. Imagine waking up everyday with fabulous looking brows that help your features to stand out to their absolute best! It would be awesome but since the effect is quite long lasting, I’m definitely going to have to do my research to make sure I find someone who is the best of the best to do them for me! However my confidence in myself wont change whether I have them done or not. There’s a lot of power to be found in loving yourself for who you are and feeling confident in yourself and your abilities. It means that any beauty treatments are only complimenting your confidence, not defining it. Does makeup give you confidence? How often do you wear it? What beauty treatments do you have done? Previous Post Is This What Happy Feels Like?